In September 2012 the Museum unfortunately failed to buy at auction a fine late 18th/early 19th century decanter inscribed ‘Wheal Towan’, dropping out at just under £400 – something we have since regretted as we have no Counthouse china or glass in our collection and Wheal Towan was a significant mine in the Parish, although scarcely a trace of it survives. It began its first phase of work in around 1765 and in its second phase from 1799 – 1814, it not only helped make R A Daniel (Guinea-a-minute Daniel) a fortune enabling him to build Trelissick, but the mine later became the scene of great interest in the development of the Cornish beam engine. An engineer called Samuel Grose in the mid 1820s used the Wheal Towan 80” engine to help pioneer his insulation system to reduce heat losses and increase fuel efficiency. For a short time during the mid to late 1820s the Wheal Towan 80” became the most efficient engine in Cornwall. The decanter seems to originate from the 1799 – 1814 period. The famous John Opie painting entitled ‘A Gentleman and a Miner’ captures the essence of the period evoked by the Wheal Towan decanter. 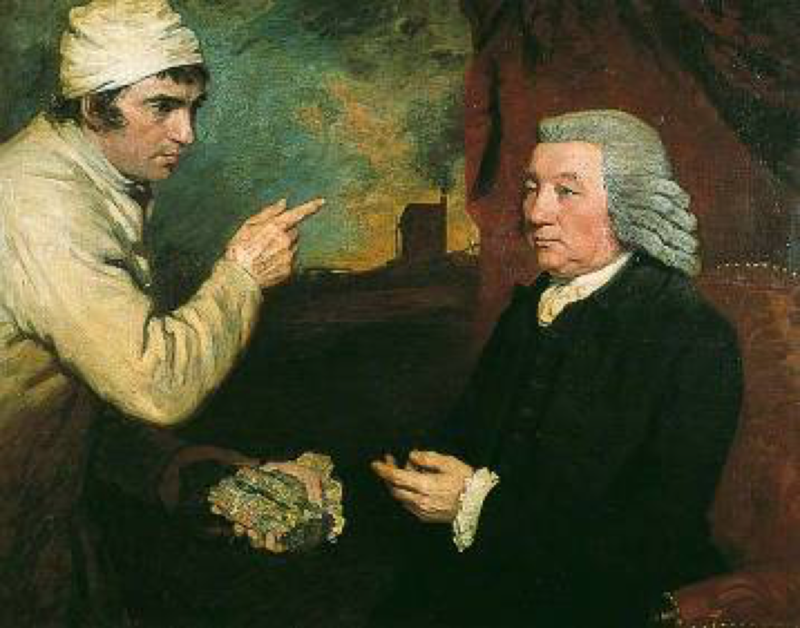 The miner is either Joseph or Thomas Morcom of St Agnes and the Gentleman is now believed to be Thomas Daniel (rather than R A Daniel) holding a piece of copper ore with possibly Wheal Towan in the background. So, when we heard in early December that the Wiltshire firm, Delomosne & Son Ltd. had the decanter for sale on their website, we contacted them, only to find that they had sold it to another dealer just a day earlier. Our Chairman, Roger Radcliffe, was later successful in purchasing the decanter for the Museum, finally bringing it to the Museum on 3 January. It is a first-class addition to our collection.